I enjoy analogies and the crab seems to be a good one. 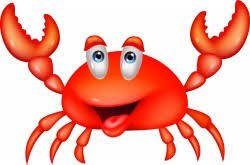 Crabs move sideways instead of forward, but do you know why? A crab has evolved to move sideways in response to its environment. Its body is relatively flat with eyes that face forward on stalks. It lives in rock crevices and moves sideways across the surfaces of coral outward to protect itself from possible threats from predators and other crabs. When danger appears, it can easily conceal itself in gaps between rocks for protection. Sometimes I find this behaviour in manufacturing companies. What environments have we created? Do you feel sometimes as though your back is against the wall? Are you anticipating problems and responding to customer demands day after day? Is firefighting part of your daily routine? Do you feel that you work against enemies within your own environment? These could be reasons for being in a “crab-like” mode. Consciously tune into your thoughts and work on your awareness – Are you too fearful at work? 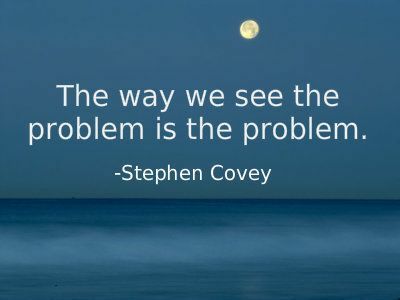 Are you too focused on problems? When you catch yourself thinking negatively, say STOP and this will interrupt your thought process immediately. A different method is to put a rubber band around your wrist and snap it whenever you put yourself down. This is a NLP (neuro-linguistic programming) technique that will help you to “snap out of it”. Once you start speaking and communicating in a more positive and encouraging manner (also to yourself), you will be able to create a completely different energy in your work environment. So, don’t be a crab.